I have a confession to make...I didn't put nearly the amount of time into this challenge as I did the last one. I think part of it was that I wasn't all that excited about the recipe. The other part was that I didn't have anything close to the props in the original photo (at bottom of page, left). I would have had to go out and buy a new dining room table if I wanted to get this one right. I kept thinking about it all month. The recipe was super easy, so it wasn't like I had to go out of my way for that part of the challenge. So, I bought a loaf of bread this past week just in case I decided to give it a try. Sometime between buying the bread and deciding to actually do the challenge all the largest pieces of bread in the loaf disappeared. Apparently we have a large slice loving mouse in the house. As I was cleaning this afternoon I noticed we had some lovely light falling on the dining room table, so I rummaged through the cupboards to see what I could find to make this shot work. In the end it ended up looking far better than I thought it was going to. I think that pretty etched bottle that a friend gave me this past Christmas really made the shot. One thing I did realize in putting this together is that I don't have any stemmed glasses in the house. I also didn't have any knives with wood handles, but I did have an offset spatula. I think I did a pretty good job improvising on the plate as well, since I didn't have any ones like the original. The smaller white plate on top of the navy gives a similar feel. No matter how hard I tried I could not get that washed out look in the original photo. I tried doing a little tweaking of the photos by reducing the saturation. I thought brightening the photo might help, but it didn't. Thinking back on it my ISO was set really low, it should have been much higher, probably as high as it could go. I really like the light on the first shot up top, but the photo was just too clear. 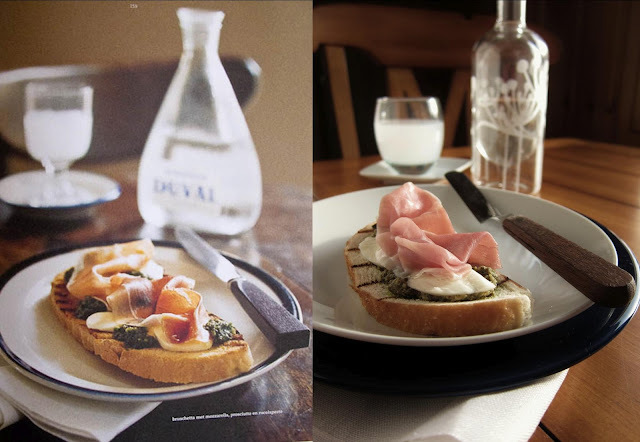 Also, the photo focuses more on the bottle and less on the bruscetta. My chairs are much taller than the chairs in the original photo. I debated raising up my table, but then decided it wasn't that important. My background was also much darker than the original. In the end, the photo below is the one I felt came closest to the original. I managed to blur out the background a bit and I think the angles were the closest of any I shot as well. They were still a bit off, but closer than any others I took.Once I was done I was actually pretty happy with how the final shot turned out. I hadn't anticipated even coming close. Now, I can say that I am happy that I challenged myself to participate this month. I also rarely take photos on this table and I now see that there might be some possibilities in the future. 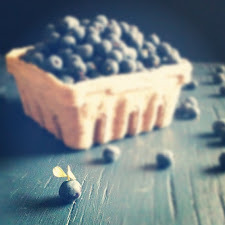 Even though the challenge is about trying to re-create the photo of someone else, I actually think this feels more like my home than many others I take on this blog. 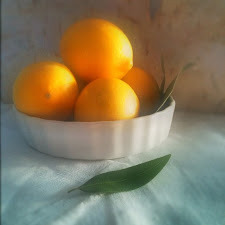 Again, thanks to Simone for hosting the Donna Hay Food Styling and Photography Challenge. See details on the challenge below. 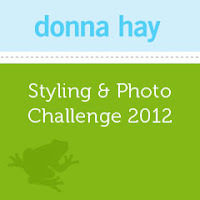 The Donna Hay Styling and Photo Challenge is sponsored by Simone at Jungle Frog Cooking. Anyone is welcome to participate at any time. I recommend it as a way to think about how you take photos and set them up. Each month a different photo is chosen by Simone from a Donna Hay Magazine. This months challenge was Bruschetta with Arugula Pesto, you can find the challenge along with the recipe at the link above. 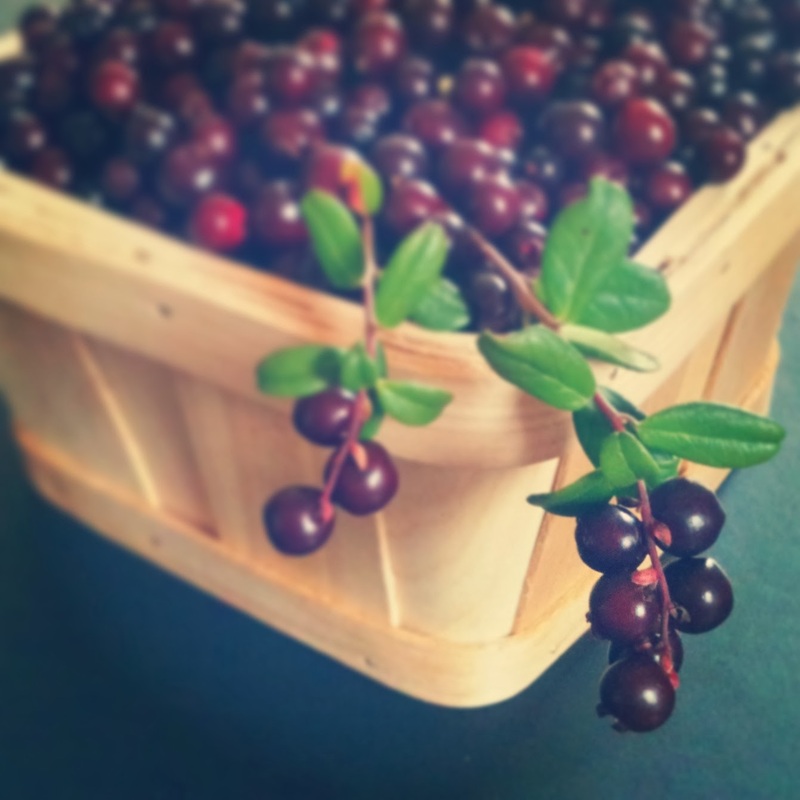 This months photo was from Donna Hay's Seasons Cookbook, the photographer was Con Poulos. You can see the side by side comparison below, the original Con Poulos photo is on the left and my interpretation is on the right (like I needed to clarify that). O but that is a pretty good effort Nicole! Despite almost not making it.. ;) I'm glad you found the time to do participate as I think you've done a good job here. Both the images have a similar feel to them. Sure the props are not the same (but no one had the same props as Con Poulos's shot) but it's all about getting the feel right and you nailed that one! This looks absolutely delicious. 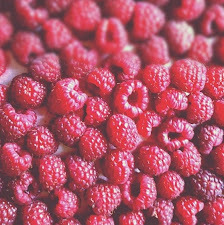 Would love for you to share your pictures with us over at foodepix.com.